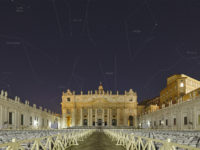 The International Space Station (ISS) is always ready to capture our imagination, especially when it flies above the glorious monuments of Rome. 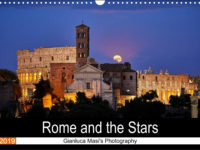 Last night we caught it just above Castel Sant’Angelo. 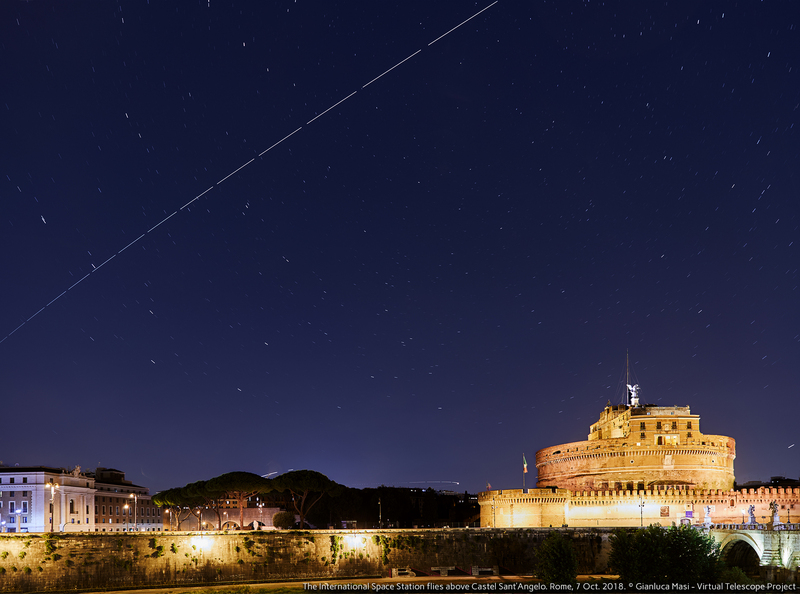 The International Space Station crosses the sky above Castel Sant’Angelo in Rome. 7 Oct. 2018. 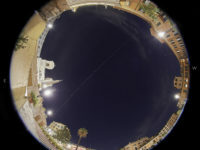 On 7 Oct. 2018, the International Space Station (ISS) was expected to make a nice pass above Rome. Weather seemed to be clear, after many days and nights of clouds and rain, but still it was unsure I could grab the spacecraft. Nonetheless, I planned the imaging session, selecting a location I know pretty well. After studying the details of the pass, I decided to setup my imaging hardware on the riverside of the Tiber, facing the ancient Mausoleum of Hadrian, also known as Castel Sant’Angelo. I reached the place 30 minutes before the transit and managed to prepare one of my Canon 5D mark IV DSLR bodies with the Canon EF 24-70mm f/2.8L II USM lens. I had to carefully adjust the camera orientation, including the region of the sky where the ISS was going to peak in brightness (mag. -3.3), just above the Polar Star. I used the lens at 24mm@f/2.8. 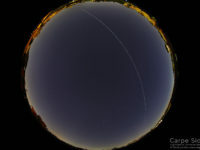 I managed to capture a number of frames, later combined to create the image above: the International Space Station is, obviously, the dashed trail on the left, showing as the spacecraft increased its brightness while moving from the bottom left to the top. 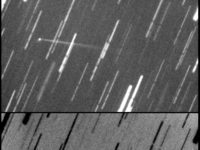 You can also see how the angular speed of the satellite increased, too. 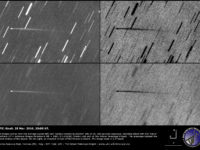 On the very bottom, just above the threes, there are a couple of airplane trails. I hope you can see the same beauty I enjoyed there!